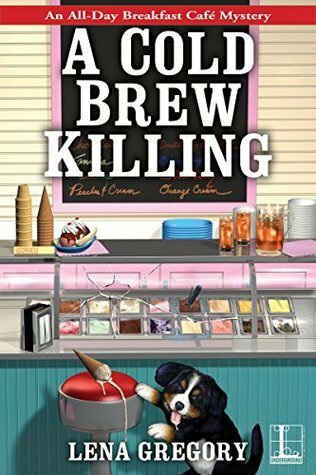 When an ice cream vendor discovers a frozen stiff, Florida diner owner Gia Morelli has to serve up some just desserts . . . Gia has become good friends with Trevor, a fun, flirtatious bachelor who owns the ice cream parlor down the street from her popular All- Day Breakfast Caf�. Trevor has the scoop on all sorts of local attractions and activities. But when he bursts into her diner, trembling and paler than a pint of French Vanilla, she can tell something's very wrong. Trevor points her toward his shop then passes out cold. When Gia runs down to his shop, she discovers a chilling sight�a dead body in the open freezer. But the ice cream man's troubles are just beginning. The police suspect him of this murder a la mode, especially when details of his questionable past surface. Gia believes in her friend and is determined to clear his name and find the real cold-blooded killer before someone else gets put on ice . . .